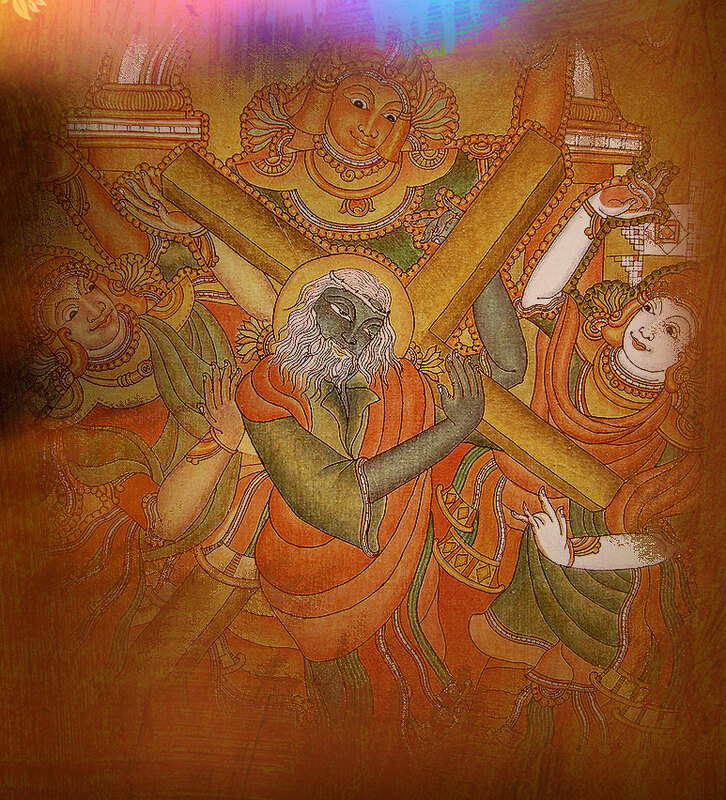 2002 - A group exhibition is conducted related to "Nelluvai Ekadasi" Festival. 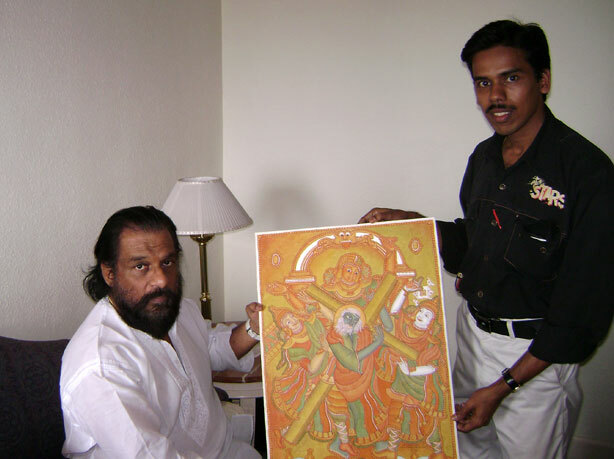 2003 - Worked with eminent mural artists in Isha Yoga Centre Coimbatore. 2004 - Can accompanied to the project work of painting in Bhima jewellery Nagarcoil. 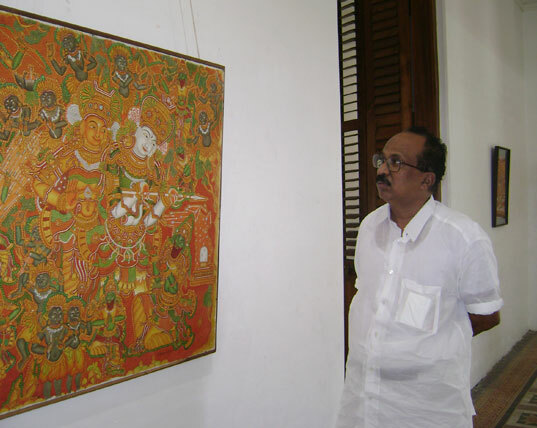 2005 - Solo exhibition of mural Painting in "Mahathma Mandiram" Kannur. 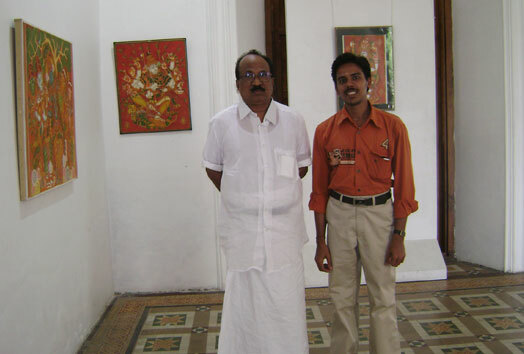 2007 - Solo exhibition of mural Painting in Kerala Lalitha kala Acadamy Art gallery Durbar Hall, Cochin. 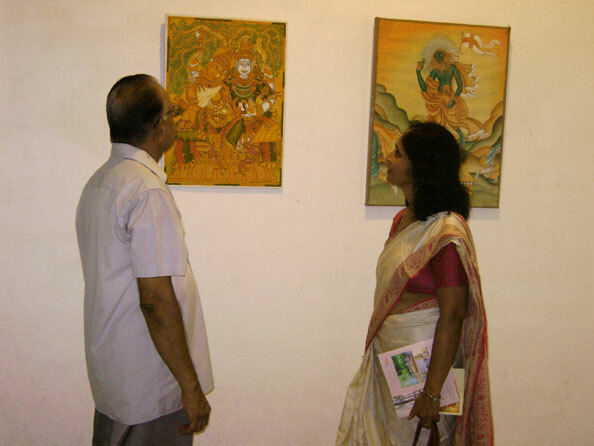 2008 - Solo exhibition of mural Painting in Kerala Lalitha kala Acadamy Art gallery, Kottakkunnu, Malappuram. 2008 - A renovation work of murals in "Thiruvegappura Mahadeva Temple" in Palakkad District. 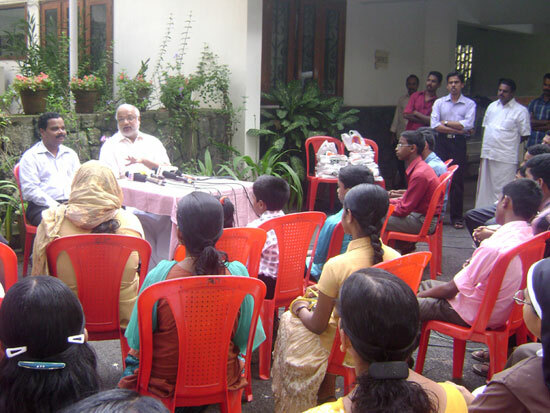 Copyright©2010 Panchavarna.com. All ights Reserved.